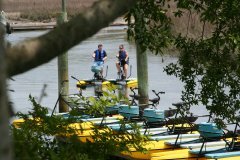 Jarvis Creek Water Sports offers something unique, the Hydrobike, to the Island of Hilton Head and the South Carolina. Would you like to try something different? 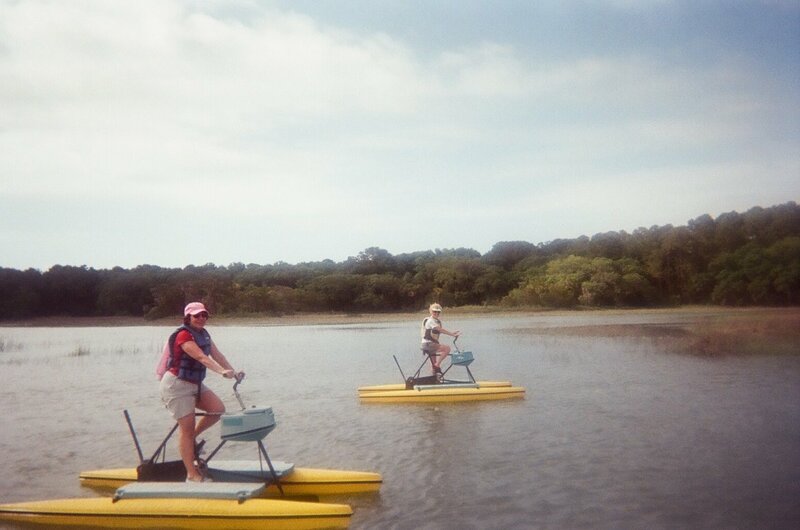 Why not try peddling instead of paddling. 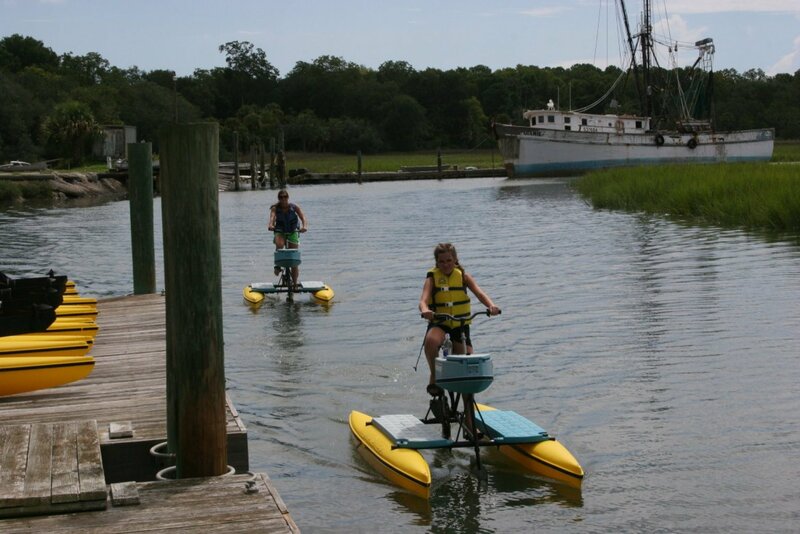 This unique water vehicle (hydrobike) are exclusive to JCWS on Hilton Head Island. 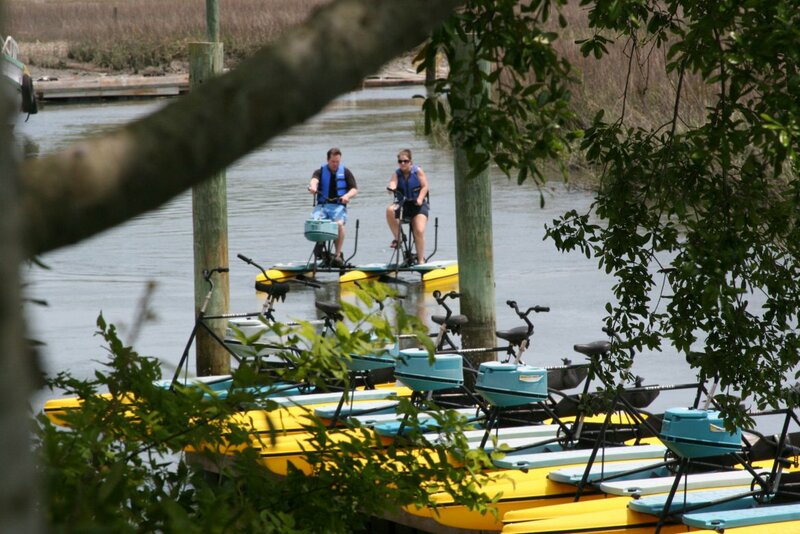 Enjoy a bike ride like cruise through creek as if you were riding a nature trail. If you can ride a bike, then you can ride one of these. 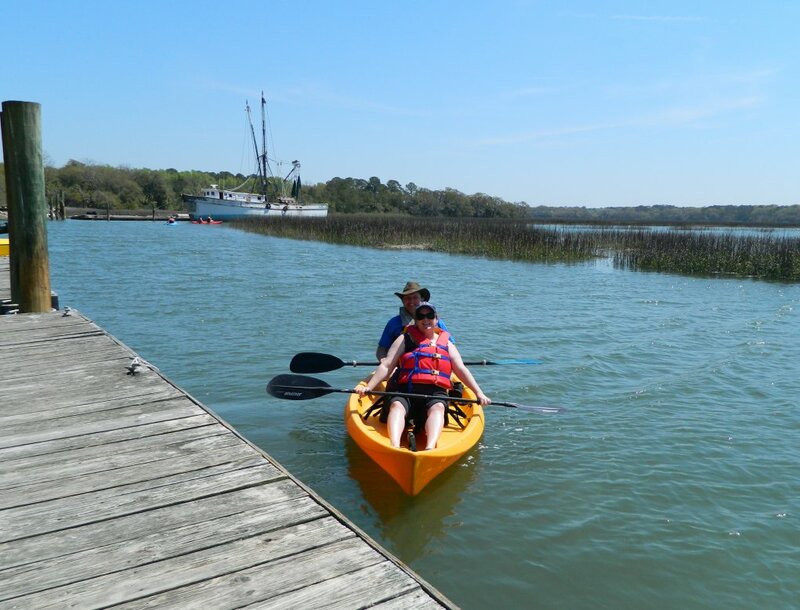 They are very stable with two pontoons on either side and geared for an easy peddle, even going against the current you will be OK. 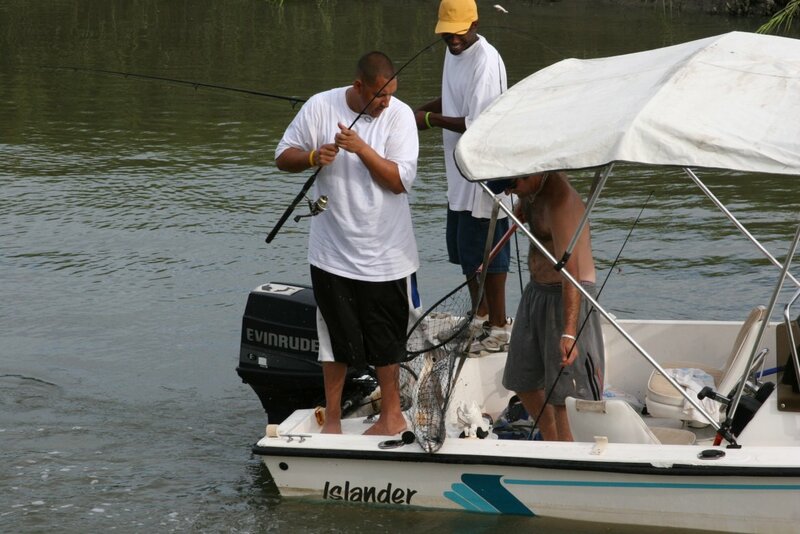 The little trolling style propeller unit gets great traction but has limitation of not going into the grass area. These are a great alternative for people who can not paddle a kayak / canoe easily or may have trouble balancing in the boat. Since most people ride bikes, they use these muscles already and have better endurance. 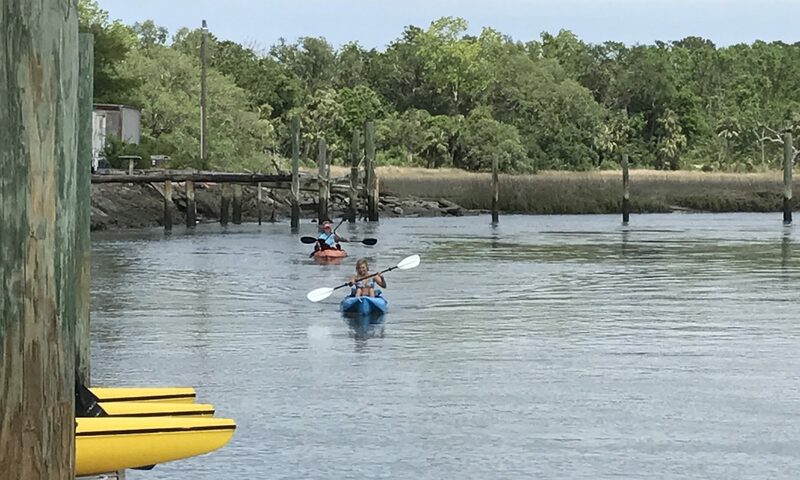 You can use them at your leisure to cruise the creek exploring the wildlife, sitting higher then in a kayak and feel very safe taking your camera with you snapping pictures. 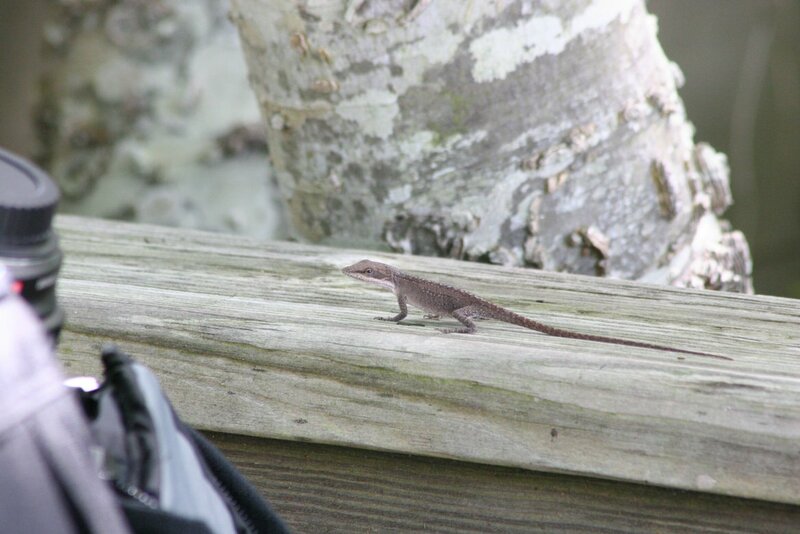 Store your camera and drinks in the glove box on the front and remain dry unless you jump off into the water. 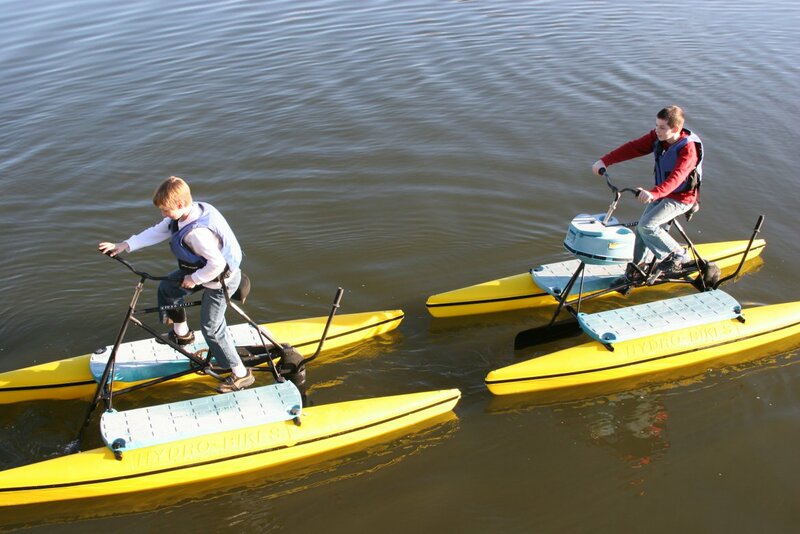 Because of about three feet of water required under the hydrobike, they are tide restrictive. They have about a 6 hour window, 3 hours before high until about 3 hours after high-tide which they can go out. 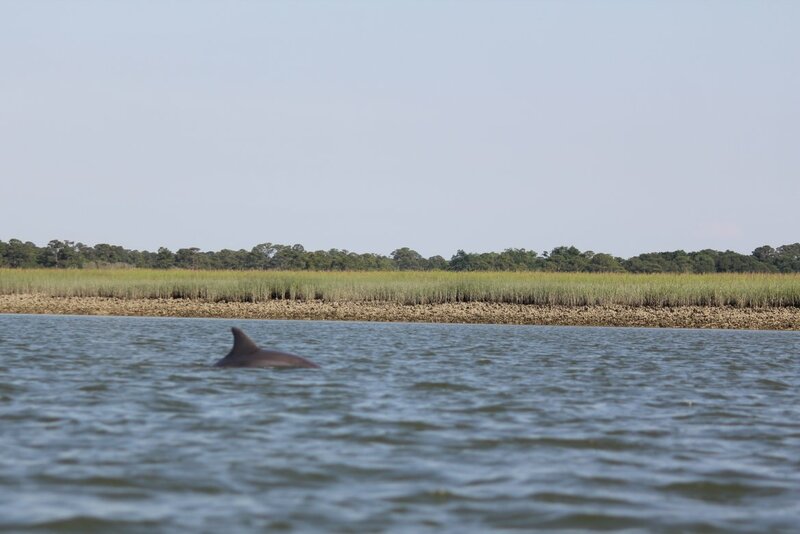 Check the current tide chart or call (843) 681-9260 about questions of when they can go out. 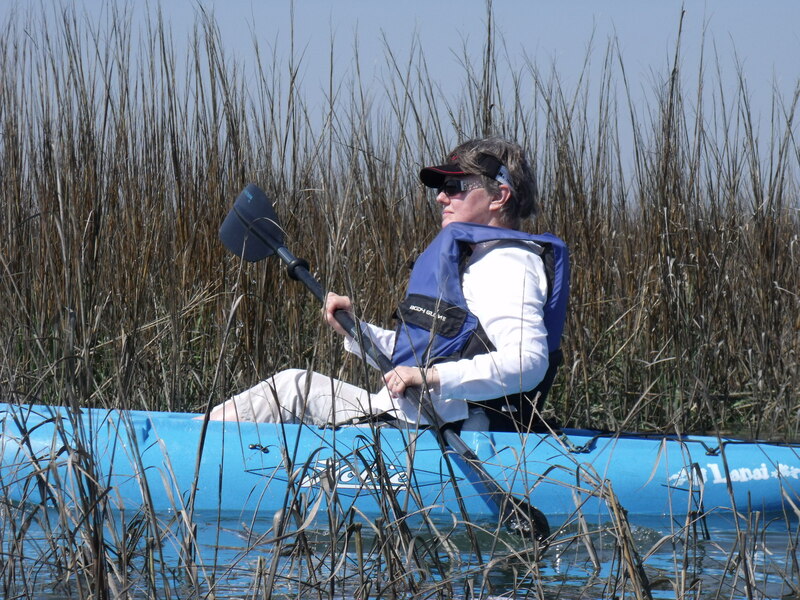 Life jacket(s) are included with every hydrobike rental. 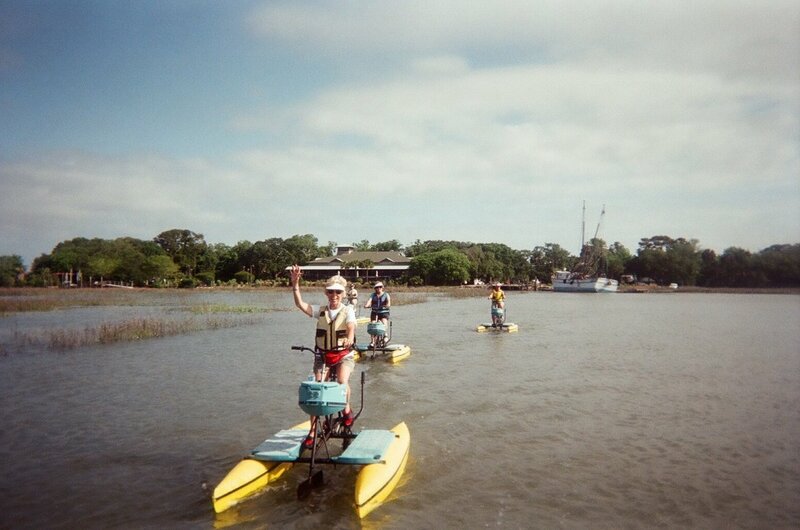 HydroBike Rentals limited on a rising mid-tide to a falling mid-tide window (roughly 6 hours). 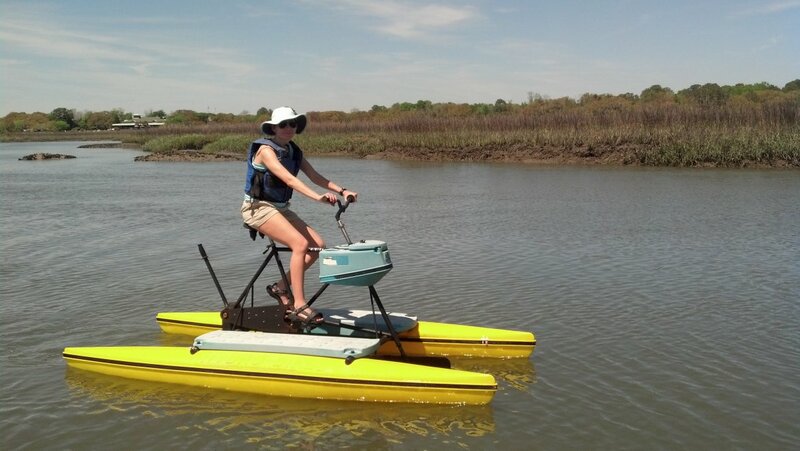 The remaining 6 hour window around low tide is to shallow for the hydrobikes to operate with out limitations. Check Tide chart since tides schedules shift each day.